In July of 1989, I was offered the chance to host Public Television’s premiere home-renovation program, This Old House. It was a once-in-a-lifetime opportunity, and I took it. It may seem an unlikely eventuality for a yachtsman who had spent nearly a decade researching and writing a book about non-instrumental navigation, but there is a certain haphazard logic to my career that I can explain. I bought my first sailboat when I was 13. After college I crewed on a yacht racing out to Hawaii, sailed the boat back to Seattle, and was hooked – I wanted to be at sea. The next year I became the first mate of a 103-foot schooner in the Mediterranean, and by the end of the year I was working for a boat builder in Antibes, in the South of France. The following year I delivered a 43-foot sloop from England to San Francisco via the Canaries, the Caribbean, Panama, the Galapagos, the Marquesas, and Hawaii. I met my future wife on that voyage, and to her more than anyone, I owe the existence of this book. My other occupations, and the more profitable one, had been old houses: First painting them while in college, then working on them as a carpenter, and finally buying, renovating, and selling them. After that voyage, my wife and I bought a large house on Boston’s North Shore, which we renovated. We had intended to sell it, purchase a cruising boat, and continue traveling around the world. Instead, I became inspired by an old dream to go to the Pacific islands and live among a seafaring people who were fully attuned to the sea’s natural rhythms. This quest led me to Satawal, and Mau Piailug, the fully initiated navigator, or palu. In 1983, after a year of preliminary research, I journeyed to Satawal. I stayed in Micronesia six months and returned in 1984 for five months. I spent the next two years writing the manuscript, and The Last Navigatorwas published in 1987. Then, by chance, I met a British documentary film producer in a trattoria in Venice. We obtained backing from British and American educational television to shoot a film and in 1988 returned to Micronesia in a chartered sailboat. Using the 32-foot outrigger canoe Aningana, which I had helped build, I sailed with Piailug and his crew for six days from Satawal to Saipan, the longest passage his people have traditionally made. We had no radio, charts, compass, or other navigational equipment on board. Finishing the film brought to a close the Satawal epoch in my life. After my son’s birth, I went to the Alaskan Arctic, where my grandfather had been an Episcopal missionary early in this century and where my father was born. I made three field trips to research a book and, I hoped, a film on Eskimos, the oil industry, and my family’s history in the Arctic village of Point Hope. I returned from my last trip to the Arctic in 1989 to the realization that success as a writer and documentary filmmaker did not mean one could feed one’s family. It was clear that I had to find a job with a steady paycheck and fit in the Arctic project when I could. My wife (rather generously) granted me a month or so to contemplate my fate, and while I did I renovated my attic. In the United States, The Last Navigator film had been part of PBS’s Adventure series. While working in the attic, I received a telephone call from the series publicist, who also, it happened, worked for “This Old House.” Offhandedly, she suggested I talk to the show’s producers, who were deep into a national search for a new host; they had already passed over more than 400 candidates. I called them and applied, never expecting to get the job. I was interviewed, screen-tested and, ten days after that chance call, offered the position. Life has never been quite the same since – but that is another story. Going to Satawal, and studying and voyaging with Piailug, was a great and romantic dream. I had the supreme good fortune to be able to realize that dream. Much of opportunity is timing; five years earlier I would not have had the maturity to undertake this journey; five years later and family responsibilities would have prevented me from doing so. It was a young man’s quest, and I was able to undertake it as a young man. Then too, my arrival on Satawal coincided with a window in Piailug’s schedule. He had been fully involved in the Hokule’a project in Hawaii before I arrived, and returned to Hawaii after I left. Had this timing been different, it may well have been impossible for me to study with Piailug at all. There is also the matter of the age of the wise elders. By 1983, the old men were beginning to realize that unless they bequeathed their knowledge to someone, it would die with their mortal frames. Indeed, out “father” Pwitack, who I call Maanusuuk in the narrative, died between my first and second field trips. Aeoweiung, who I call Mwaramai, was very old when I worked with him and knew he had not many years to live. Chief Otolig, Rewena in the narrative, died on the field ship en route from the hospital on Yap back to Satawal. 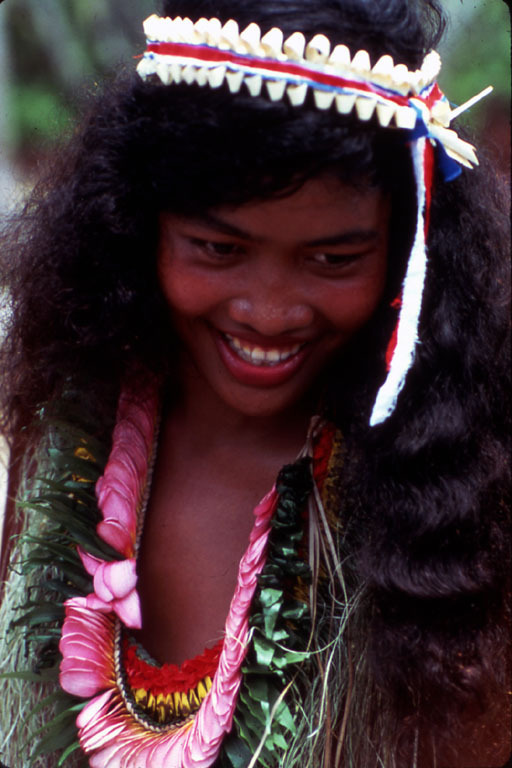 Micronesia’s is an oral tradition. As the old navigators have passed away, so has any opportunity to learn the Talk of the Sea, and the highly secret Talk of Light. I was indeed fortunate to go to Satawal when I did. and taught me his navigation without reserve. The knowledge he gave me about navigation is considered priceless in his culture. The knowledge he gave me about myself, I have come to see, is priceless as well. I often think of Piailug, and the fierceness and determination with which he defends a way of life he knows will die as the wise elders died. He has the courage to live and teach and voyage in spite of the certain knowledge that his struggle can never stem the tide of Westernization, which will change the character of his archipelago and may well eliminate the very role of the navigator as steward of his island’s sustenance and keeper of the flame of cultural knowledge.